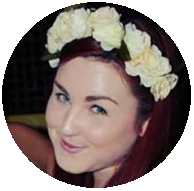 Starting her blog at uni and soon turning it into a hobby, Jemma Lamble is known to many as Floral Etiquette – http://floral-etiquette.blogspot.co.uk/. The 21-year-old covers both fashion and beauty and has made quite a name for herself in the blogging world. Here she takes us through her top 5 cocktail dresses to rent online. This is just the most perfect cocktail party dress to hire for summer. I really fall in love with ladylike styles and bright colours and this nearly fluorescent number looks like it would real emphasise your good bits. I would love to wear this with a chic white clutch bag! I am instantly drawn to the print of this cocktail dress and find the ruched neckline a really interesting aspect in design. It’s so whimsical and girly which is my style completely. 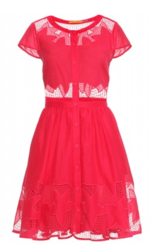 I can see this looking exceptionally endearing with some vivid pink platforms. I couldn’t declare myself a true floral princess if I didn’t admire this cocktail dress greatly. I think the subtle distressed floral pattern really does the simple cut of the dress justice. Although I usually become hesitant when it comes to peplums, I could really see myself making this dress work due to the print alone. 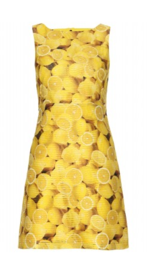 I firmly believe that if you’ve got lemons make lemonade, and this dress certainly makes me want to do just that. 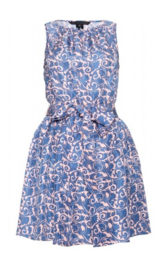 This is the most delectable cocktail dress with such a novel print. I adore yellow dresses in the summer; this unique fresh-looking pattern is perfect to act careless and free while soaking up the British summer! Erdem reflects more of my sophisticated grown up side to fashion with its cosmopolitan flair. What I love with Erdem though, is that I am still able to flaunt my floral nature with a cute flowers-in-bloom esque print. This cocktail dress would really compliment a night in the city while sipping on a martini. Posted August 2nd, 2013 in Features. Tagged: Alice and Olivia, cocktail dresses online, cocktail dresses to hire, cocktail dresses to rent, Erdem, featured blogger, floral etiquette, Marc by Marc Jacobs.